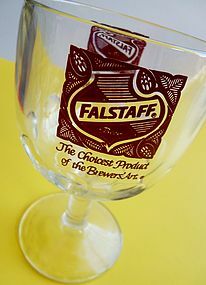 This is a vintage stemmed drinking glass with a red decal advertising “Falstaff King of Beers The Choicest Product of the Brewers’ Art". This glass has thumbprint impressions all around the lower edge. The measurements are 6 1/2" tall with a 4" opening. The mug/goblet is in great vintage condition. Perfect mug to add to any bareware collection. 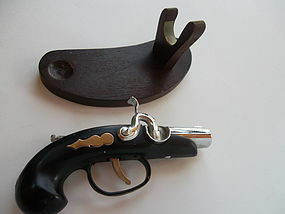 This is an old Doline pistol lighter circa 1950s made in Japan. 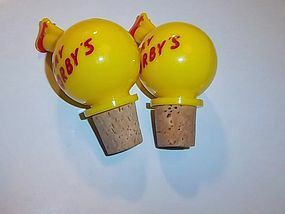 Comes with a stand made of wood and has a green felt bottom. The lighter itself is black with silver metal details. This lighter can be in working condition the flint and wick just need to be replaced it is the same as a zippo lighter. It also needs to be filled with butane lighter fluid. It measures 6 1/4" long and is in great vintage condition. 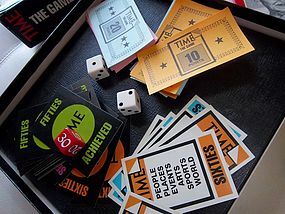 Wonderful collectors item! 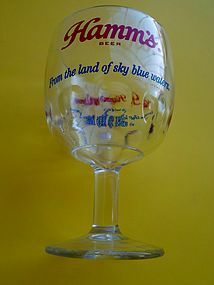 This is a vintage circa 1980s Budweiser King of Beers (written in red) goblet. It is made of clear heavy glass, has scalloped sides and a snowflake flower base. 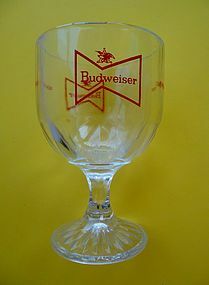 Nice collectible for the Budweiser beer collector. This glass is in very good condition with no chips or cracks. This stands just over 6" tall and just under 4" wide. Underneath the red Budweiser logo it says King of Beers in red text. Great glass to add to your collection! 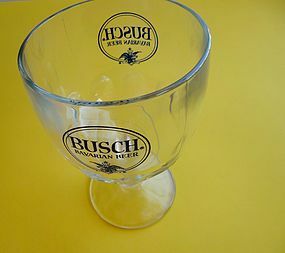 This is a vintage blue logo BUSCH Bavarian Beer mug. Has the thumbprint design around the bottom of the goblet. It measures 6 1/2" tall has a 4" opening and is 3.5" deep. The goblet is made of thick heavy glass and is in great vintage condition. Great addition for your bar! 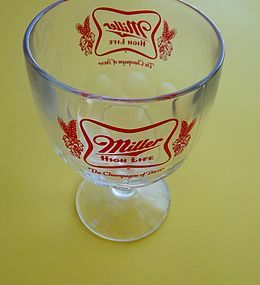 This is a vintage Miller High Life thumbprint goblet. The mug reads "The Champagne of Beers" in red writing. This is made of a heavy clear glass and measures 6 1/4" tall with a 4" opening. Goblet is in great vintage condition. Perfect for any bar collection. Super cool ashtray from The Ormsby House and Casino in Carson City, Nevada. 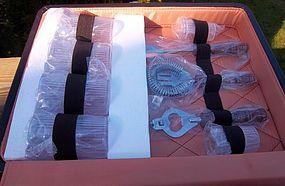 The ashtray features a Deringer Pistol with a rose in the barrel. 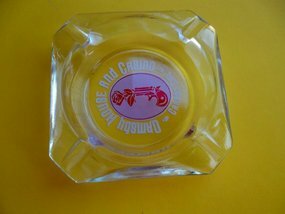 Clear glass with red image on bottom of the ashtray. The New Ormsby House opened in 1971 in Carson City and closed in 2001 for renovations. The original casino was built in 1860 and lasted until the early 1900's. To date the casino is still closed. 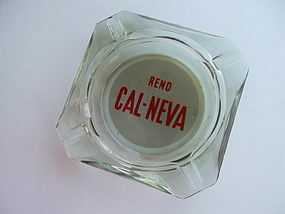 This is a vintage 1960s Reno Cal Neva light green ashtray with vintage logo. Ashtray has red writing and is 4" in diameter. Great collectors ashtray. Good vintage condition.